The Heights Lodge features handsome wood construction and a sportsman’s décor of bears, moose, fish, deer and eagles. 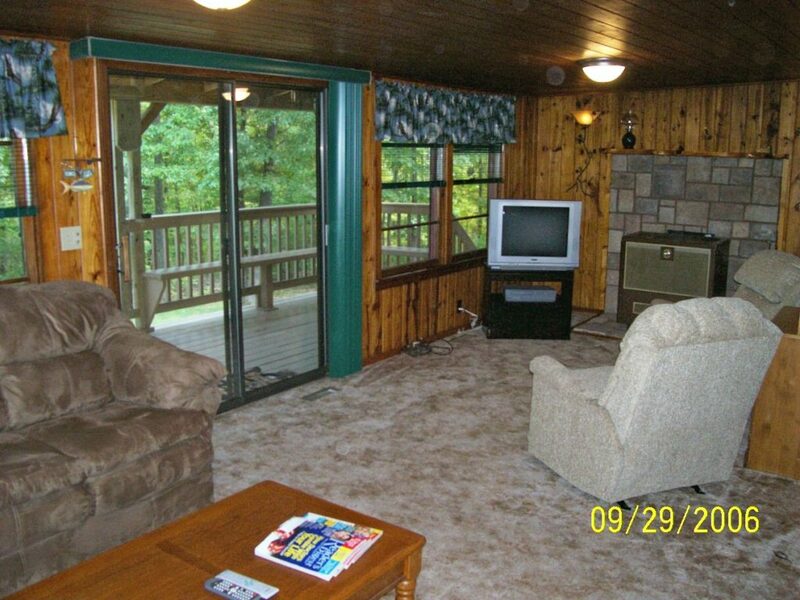 The warm and inviting living room has all the comforts of home including a sofa, loveseat and two recliners. The open floor plan between the kitchen and living room invites casual mingling. The satellite TV system has over 60 channels and a VCR/DVD player with a selection of movies. There is a small library for the avid reader plus board games, cards and poker chips. A sliding glass door opens from the living room onto the huge covered deck with stairs leading down to the large grass yard. 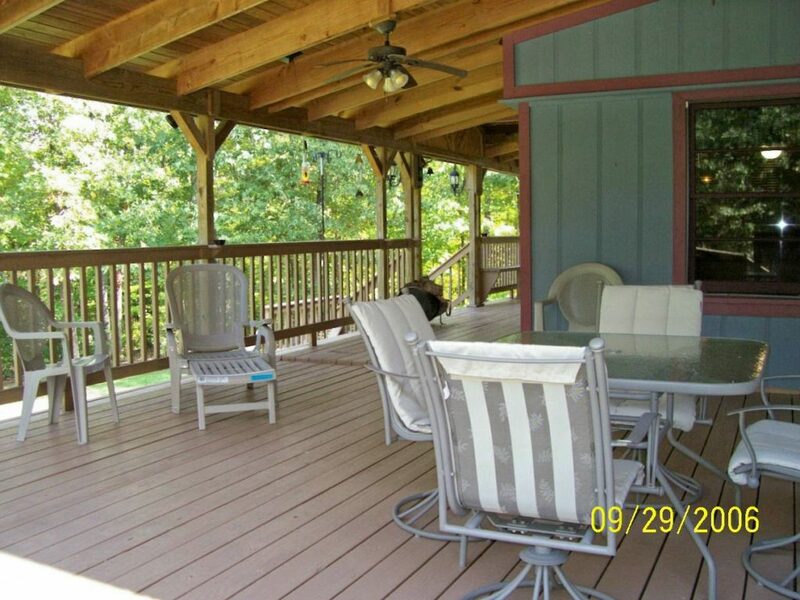 Fan lighting and plenty of patio furniture make the deck a favorite gathering place. 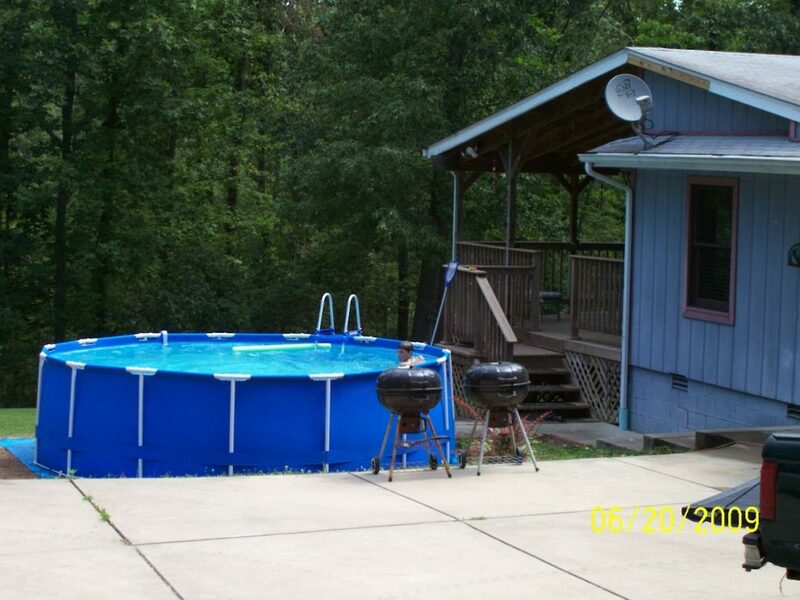 Pull up a lounge chair and relax as you watch the kids cooling off in a 4 x 15 foot ‘doughboy’ style pool. 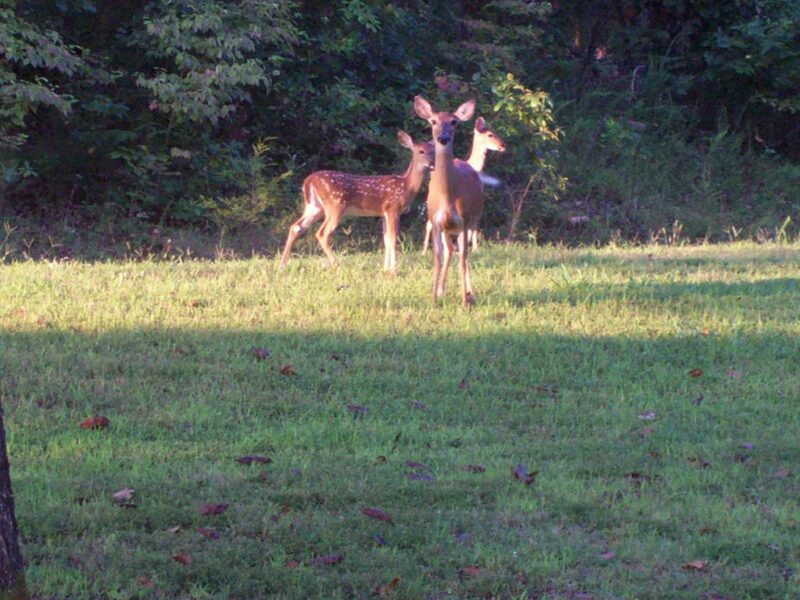 Enjoy your morning coffee out on the deck as the deer come out of the forest to graze on the front lawn. 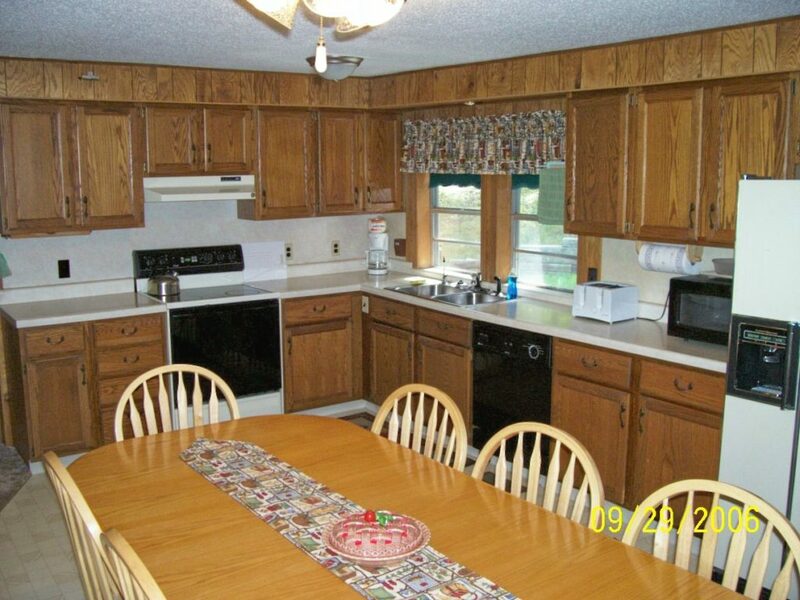 The spacious kitchen is well equipped with a dishwasher, full size side by side refrigerator with in-door ice maker, 4 slice bagel toaster, microwave, two coffeemakers, and a full size four burner electric glasstop range with oven. Everything you need for cooking and serving up to 14 people are provided plus a blender, electric mixer, crock pot and matching Corelle dinnerware. The dining table will seat 8 to 12 people. A sliding glass door conveniently opens to the covered deck making outdoor meals easy to serve. This 4 bedroom, 2 1/2 bath home has a huge master suite with 1 king bed, 1 full futon and your own satellite TV. It is located on the opposite end of the house from the other 3 bedrooms and has a private sliding glass door entry from the deck. 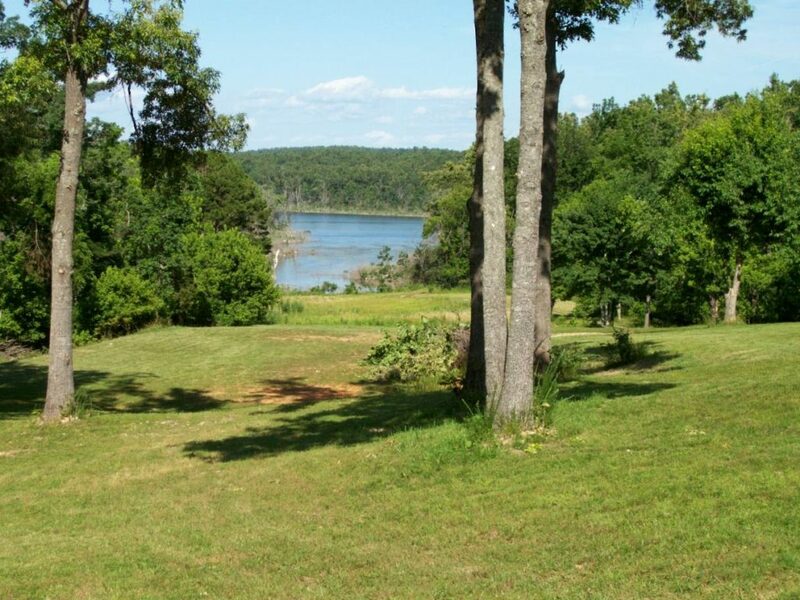 The second bedroom is a mini master with 1 queen bed, 1 full futon, a private 1/2 bath and features a Lake Norfork cove view. 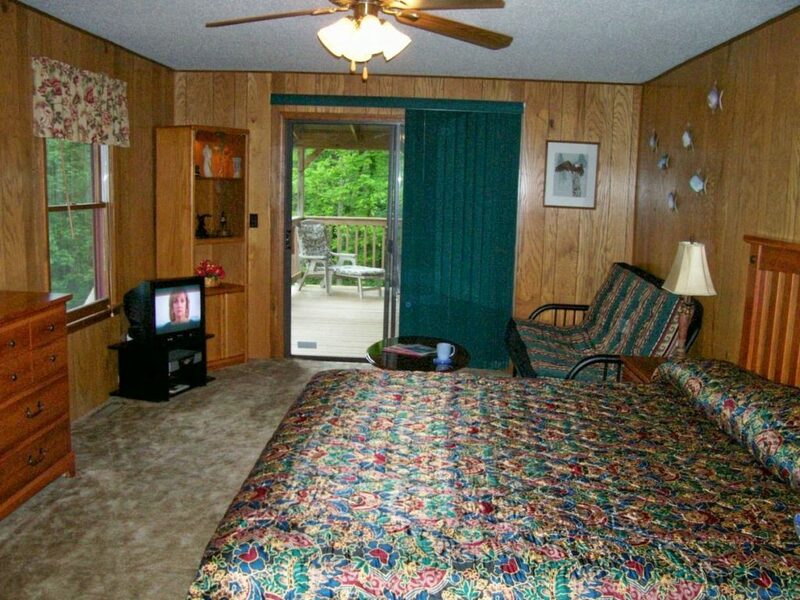 The third bedroom has 2 queen beds and also has a lake view. 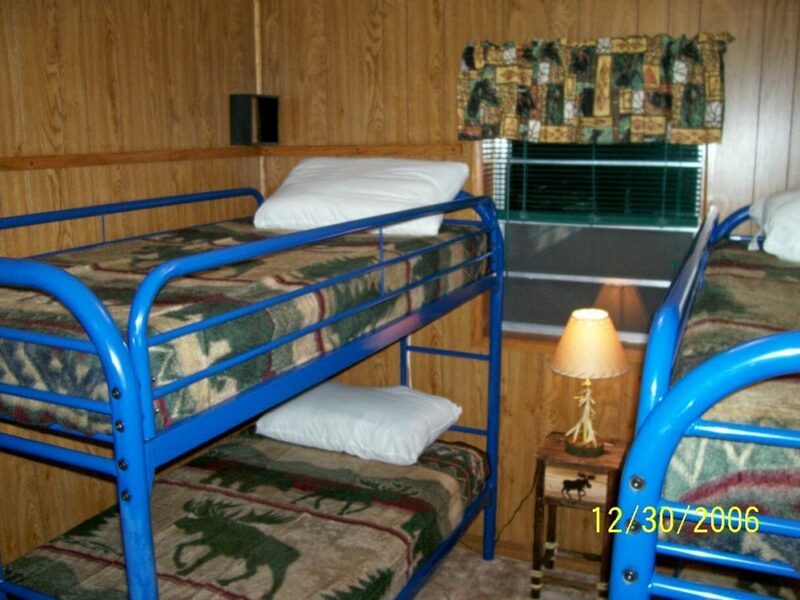 The fourth bedroom has 2 sets of bunk beds. All bedrooms except the bunkroom have ceiling fans. The master bath has a stall shower while the hall bath has a full tub shower. Both bathrooms have their own hot water heaters. The Heights Lodge has central heat and A/C, a big grass yard, an extra large BBQ grill, a campfire ring and ample parking and boat trailer storage. 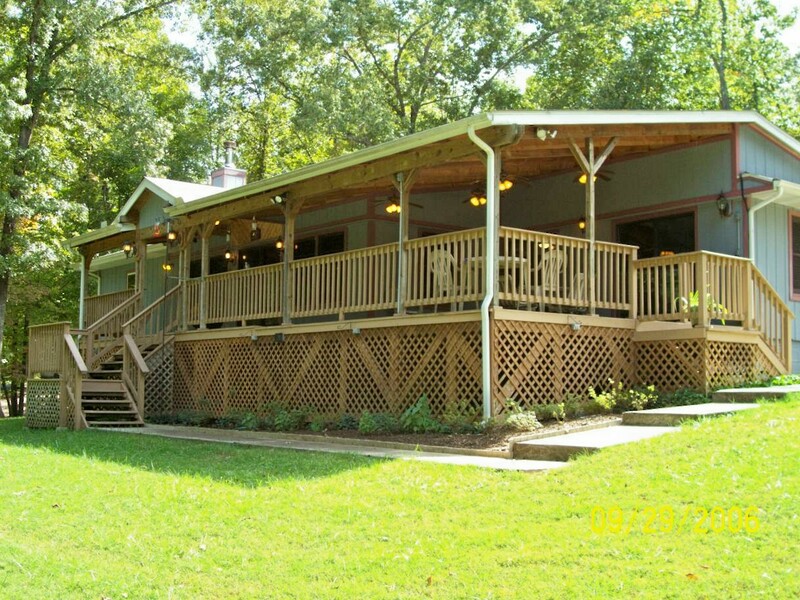 The Heights Lodge is privately located about 50 yards away from the Ozark Retreat. Bigger groups renting both homes can walk back and forth to visit on the footpath. 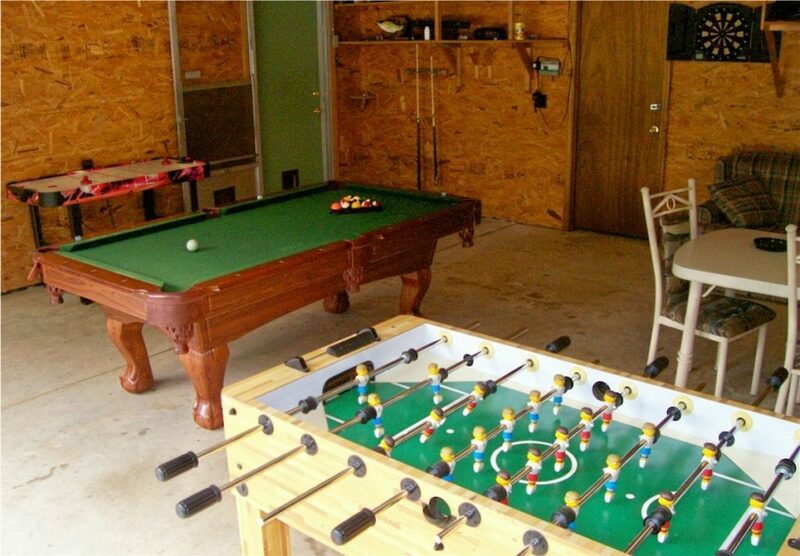 Enjoy the 400 sf garage/game room with pool table, air hockey and foosball. Shoot some hoops on the large concrete approach out front or throw some horseshoes at the new shaded horseshoe pits around back. The 15' pool is up from Memorial thru Labor Day weekends. All bedding and linens are provided along with extra pillows and blankets. The bathrooms have plenty of towels and are supplied with anti-bacterial hand soap and air freshener spray. Personal hygiene items and swimming towels are not provided. The Heights Lodge has a laundry room complete with washer, dryer and detergents. Free wireless internet is provided for your convenience. This home is non-smoking inside and strictly pet free.